Before giving my answer of why, let me give you a background of myself, of the girl I grew up to be. My parents were into the whole outdoors—including camping every weekend, mountaineering, and just about everything in-between. I was that baby who was sitting in a bicycle trailer at one week old, went camping at six months old, and not to mention just being barely over one year old carried in a backpack to the summit of Mount St. Helens. I am an only child and grew up to be outdoors at every given moment instead of participating in sports full time. 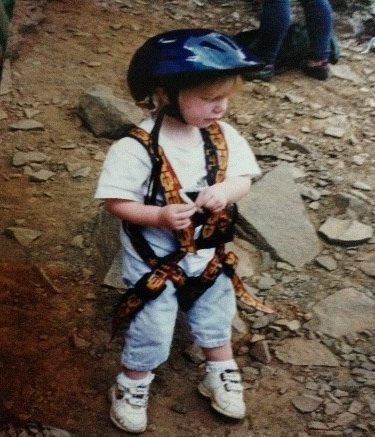 I love that my parents allowed me to be adventurous; they even encouraged it. Being grateful for their support, I am now about to live my hiking dream of a thru-hike of the PCT. How Did I Make My Decision? The last couple of years I have had more exposure to the PCT. Being so big, complex, and beautiful; I had found a love for it. Finally, I decided I was going to actually do it. I played at the thought of how was I going to do it. Sections? States? Just California then sections at a time? I originally had planned just to do California, no matter what after graduation. But I had a heartbreaking break-up closing my junior year of college, which ultimately pulled all my interest in hiking to full speed. I hiked most of the Wonderland while I still had a broken heart. I found love for myself along with happiness all over again while hiking. Hiking was my way of self discovery. That was the last discussion. I was doing a complete thru-hike of the PCT. 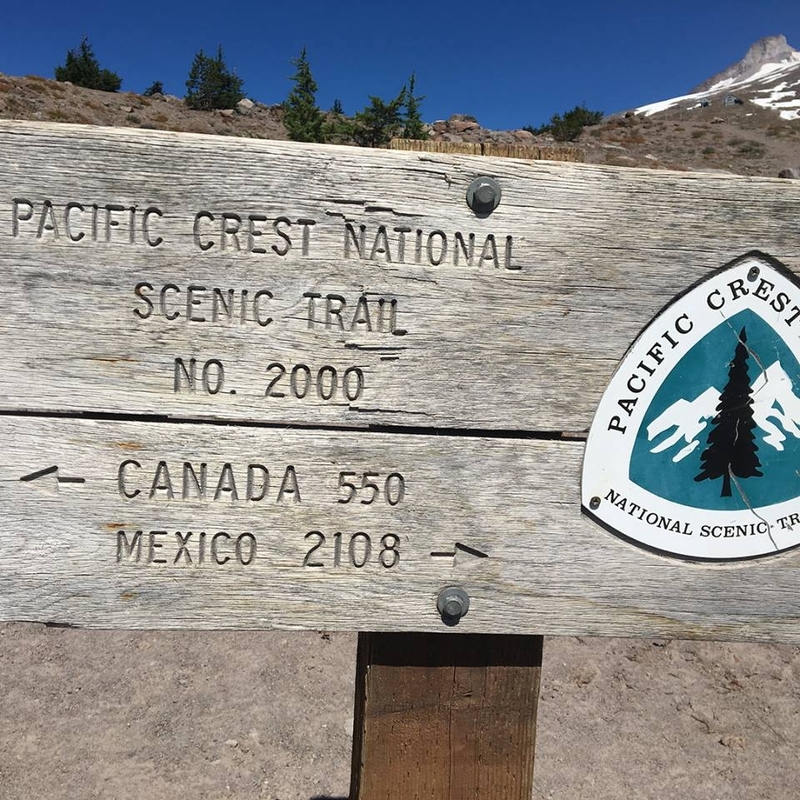 So my answer to the “Why a thru-hike of the PCT?” is because I feel lost in the world. I want that feeling of having accomplishment, fulfillment, and find who I am. This journey of a lifetime will leave me so much time to think about so many, many thoughts that have and will cross my mind as I’m having a blast. It’s going to be tough, but it’ll be an amazing time of my life. I had found my love for myself when I hike. My friend, the PCT, will help me discover who I want to be once again. Washington State University- Senior graduating May 2019, NOBO Thru PCT- 2019. Just a girl who loves to get lost in adventures. 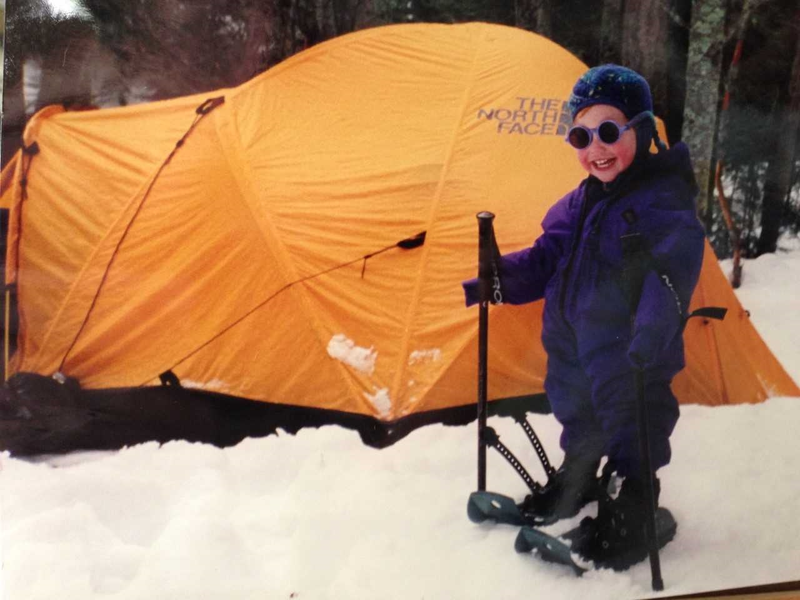 Grew up being outdoors and loved it ever since. Fully embracing my journey one step a time. Hi Kali. I learned about your plans to hike the PCT from your academic advisor, Alicia; I’m actually her academic advisor for her master’s in history program! (small world, eh?). Alicia was in my office yesterday and happened to ask me what I was planning to do after I retire from WSU this summer. I told her that my wife and I were deep into our plans to thru-hike the PCT in 2020. To my surprise she not only knew what the PCT was (I’m sure you encounter a lot of people who’ve never heard of it, or only know about it because of the movie “Wild”) but she told me that one of her students (you) was planning to hike it this year. She then sent me the link to this blog, which I’m looking forward to following this spring as you start your journey (will you also be making a vlog of your hike?). 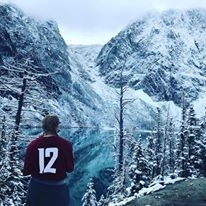 Like you, I was raised in the mountains. My dad took me on the John Muir trail for the first time when I was only 5 years old. Over the years I’ve taken innumerable backpacking trips, but – due to work and family restrictions – most were limited to only 1 or 2 weeks. I’ve dreamed about a long-distance backpack trip ever since my dad bought me Colin Fletcher’s “Thousand Mile Summer” for my 13th birthday (an awesome read that I highly recommend). I’m really excited about FINALLY being able to go on the truly epic adventure that is the PCT. The hardest part is having to wait for another whole year to start it. In the meantime, I’m keeping my enthusiasm up by following other hikers (like you) who are doing the PCT this year. If you’re willing I’d love to be able to talk to you in person about your upcoming trip;, how you’re planning it, your resupply strategies, the gear you’ll be using, etc. My office is in Wilson Hall (across from the CUB) room 301. Send me an email and we’ll figure out a time that works for both of us. I just found your comment, but I am sure glad you had emailed me otherwise I wouldn’t have known until my next blog!